Most simple salads are naturally gluten free but it would surprise you to know how easy it is for gluten to sneak into your salad, especially on the type of salads most of us enjoy, with lots of extras and dressings for flavour and texture. We would recommend avoiding open salad bars in restaurants due to the high risk of cross-contamination. If you order a salad in a restaurant, make sure to specify your diet restrictions. Salad dressings: Many bottled dressings contain gluten as a form of thickening. Some brands offer gluten free options but make sure to read labels as some of them do not clearly specify that they are gluten free. If you prepare a gluten free salads at home, you could make your own healthy salad dressing. Cold cuts: Processed cold cuts may contain modified starches which could be gluten-based. We would recommend you to avoid any kind of cold cuts or make sure about seasoning/marinades used on the meat as some may contain gluten. Cheese: Even though most cheeses are naturally gluten free, it is important to be aware of the possibility of cross-contamination with gluten products during preparation and repackaging. The best solution is to buy the cheese directly from the manufacturer. 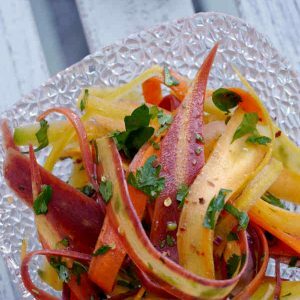 Carrot and Beet Salad: This simple salad makes a great addition to large gatherings. 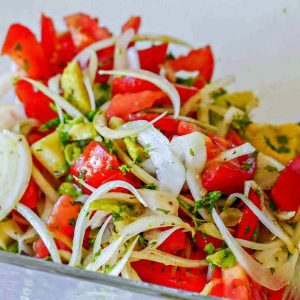 The Grind Salad – Naturally Gluten-Free: This healthy salad is rich in fiber, vitamin C and protein, making it a healthy vegetarian option for lunch. Orange and Raspberry Quinoa Salad: This healthy, satisfying salad makes a tasty packed lunch or light supper. 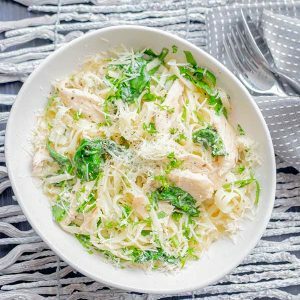 This gluten free salad recipe is infused with refreshing citrus and mint. Asian Winter Salad with Maple Ginger Chicken: This gluten free salad recipe is perfect for winter as the tender, hot chicken with maple ginger glaze adds a little warmth. Mediterranean Brown Rice Salad: You can serve this salad with lamb, pork or chicken for extra proteins or as a vegetarian side or main dish. This gluten free salad carries a delicious mixture of flavours from the creamy feta, cucumber and olives. 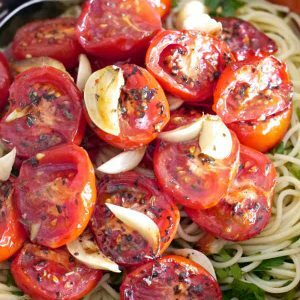 Pasta salads are always a great dish for barbecues, larger gatherings, or as a simple meal at home. On a gluten free diet, pasta salads are really easy to prepare, you just need to switch the normal pasta for a gluten free one, for example, rice or corn pasta. Parsley, Sundried Tomatoes And Red Pepper Pasta Salad: This vegetarian salad is perfect for any occasion, you can also serve it as a side dish with chicken or fish. 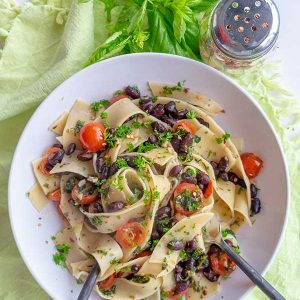 Gluten Free Light Pasta Salad: This is a light gluten free pasta salad that is made with a light zesty vinaigrette and finished with parmesan cheese. Soba Noodle Spinach and Carrot Salad: This gluten free salad is made with buckwheat which is naturally gluten free. 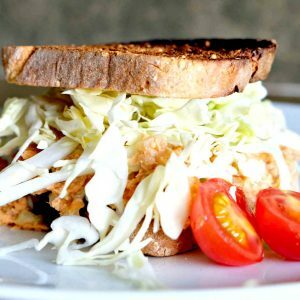 It is packed with fiber and protein. For more gluten free salads recipes, visit our salad category!